Spending your summers in a "safe harbor", means that when you hear the Chicago Mac has started, there will be a buzz around town until all boats arrive in Mackinac Island to the finish line. There will be dudes in Mount Gay Rum hats breezing into town, and you'll know to stay out of their way because they are trying to get back to the race (or they're just in town to hang out at The Blue Bird as though they are in the middle of the race). It used to be that you would rush to Sleeping Bear Dunes or Pyramid Point to watch the boats from a distance and hope the timing would be right to see the specks of colors way up high on the blue water pulling spinnakers, or some years at a complete standstill. Nowadays or course, you can follow every boats course via an app or the internet which is still cool, but does take away a little bit of the mystique of wondering if you were going to be lucky enough to see a fleet of boats once you reached the top of the dunes. 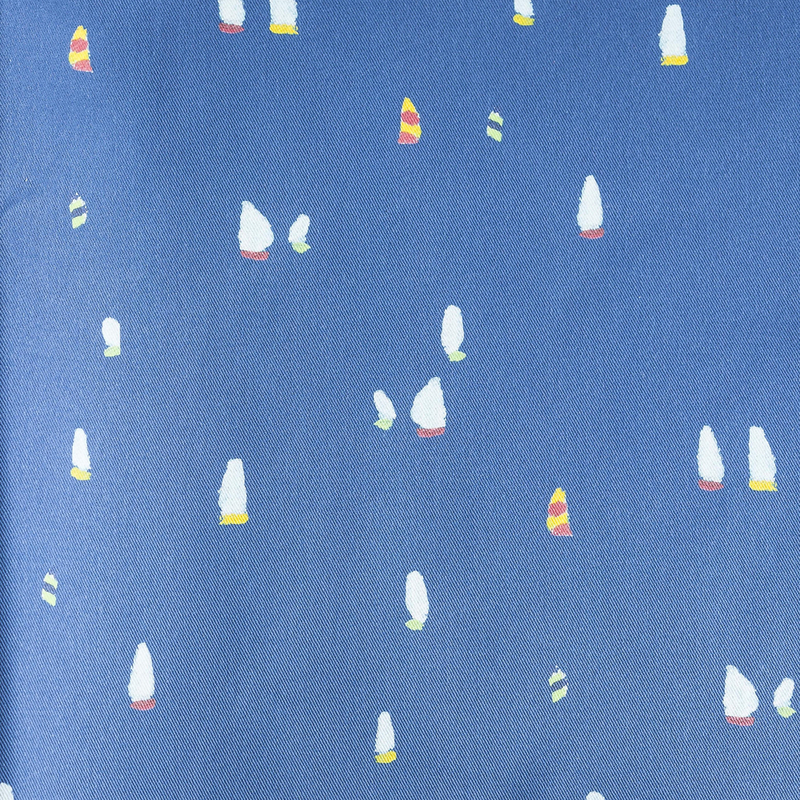 While you will notice sailing being a predominant theme in my fabrics, this particular series is all in honor of this race, and that feeling I used to get at the top of the dune when you realized you timed things just right. Here it is used in our custom slip covered chairs. 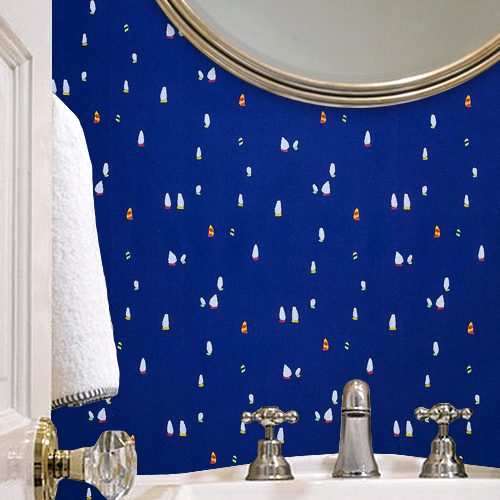 We do carry several other products with this print, which you can see when you come visit us in our shanty in Fishtown Leland. I hope seeing the spontaneity of color allows you to have the same feeling I used to have as a kid seeing the speckled colors in the deep blue of Lake Michigan from the sandy bluff. 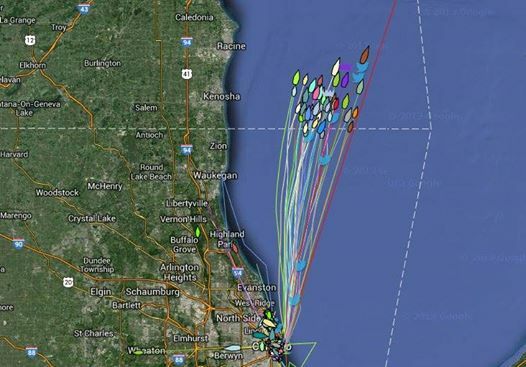 The Chicago Mac is officially on right now, and boats are passing by our safe harbor us as I type. We have been thinking about all the sailors out there, and have been pleased to see good wind and good weather as you head to the Island.